It wasn’t that long ago that Apple liked to brag about the first-weekend sales records of the company’s latest iPhones, but clearly, the mobile industry has gone through a radical transformation over the past few years, prompting a number of strategy changes for almost all major vendors. Samsung is more focused than ever on its mid-range product portfolio, Huawei is using two different brands to take over the world, LG and Sony Mobile are... slowly dying, while Apple plans to stop reporting unit sales altogether. That’s hardly a drastic policy revision, making perfect sense from a business standpoint, as explained by Luca Maestri, the Cupertino-based tech giant’s Chief Financial Officer, during the most recent earnings call. For several years now, Apple has slowed down its growth in iPhone, iPad, and Mac shipments, nonetheless making more and more money. 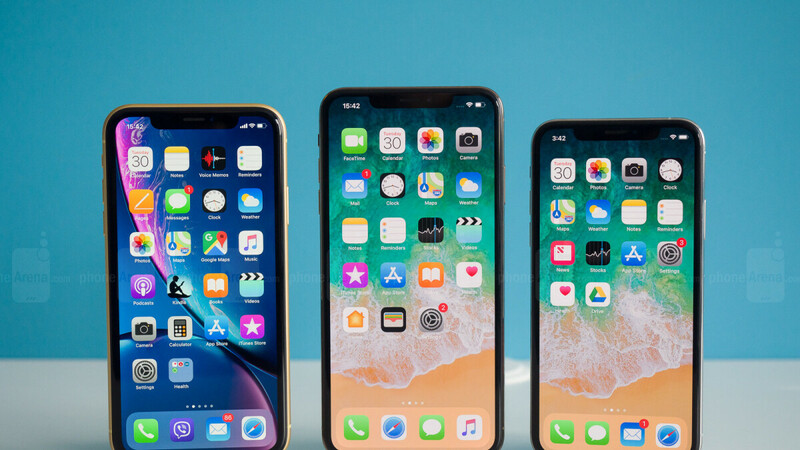 Between July and September 2018, for instance, the company “only” sold around 46 million iPhones, roughly on par with the numbers posted last year. But all in all, revenues and profits increased significantly. That suggests “the number of units sold in any 90-day period” is no longer “necessarily representative of the underlying strength” of this well-oiled business. Of course, Apple’s objectives of making “great products and services that enrich people’s lives”, as well as providing an “unparalleled customer experience, so that users are highly satisfied, loyal, and engaged” will remain unchanged. The same goes for the implicit goal of dominating smartphone, tablet, and computer profits, even if other companies rise through the ranks in terms of sales numbers. Starting with the always crucial December quarter, however, it’s going to be a lot harder to know if Tim Cook’s objective to “serve everyone” is adequately accomplished. I wonder if this is also because Huawai surpassed them in sales volume this year and Apple became "3rd". It makes sense to me too because at this point if any other vendor sells more than Apple then they would be considered "4th" and off the medals podium - so to speak. 4th would sound bad and is also completely irrelevant because Apple is by far #1 when it comes to profit. Profit is ultimately what all these companies are really about and Apple is right to try and keep peoples focus(especially investors) on that. Well, obviously also Apple does not expect growth through increased iPhone sales anymore. I am concerned this circumstance forces Apple to increase prices year by year in order to show higher profits. Been happening for years though. Same reason why they sell aged Macs at their original pricing. I think their current sales of all the new iPhones will flounder. They keep raising the prices, and they raised the roof on their repair costs as well. To the point it costs more to fix than what Apple paid to manufacture the iPhone in the first place. Hmmn, I think Apple should be worried though. Shipping similar or less number of phones is an indicator that their growth rate is stagnating. There's is only so much money you can make from margins, you still need volume. If they push the margin too high eventually it might turn buyers away, with some other potential buyers waiting longer intervals to update their current device. This will no doubt worry any finance savy investor. No need to worry when you look what's happening in the market overall, The whole markets are down and predictions are that for the first time 2018 sales will be less than earlier year sales for the industry. Yeah, I work selling phone cases as a third party seller on websites. Sales have been dropping steadily. The only profitable cases are for budget phones. The market is pretty well saturated, and people are holding their phones for 2-3 years. There isn't much growth left for anyone. Apple wouldn't care about that at all. It's more to do with this "Apple tumbles 7% after reporting record-breaking quarterly earnings" Analysts are panting unrealistic expectations and talking about supercycles and all. Apple made best Q4 ever and that happened. If in current market where everyone selling cheaper and cheaper devices Apple can have record high ASP, it shows how well they are doing. In other words, Things are bad! Have you seen their quarterly report? Things are far from bad, at least for them. Easy to make more money when you keep raising prices and offer less calability. Basically the same Apple of the 70's. Wonder what Apple is gonna do when they have to pass off Trump's, China import taxes. When the cheapest iPhone is $1000, we will see what you say when sales drop even more. I believe this idea of “not showing your cards” sends a bad message to we as buyers that we can’t celebrate and become involved of the sheer volume and impact of Apple products sold on a quarterly basis. What this does is conceal the profits being generated by their products due to the hefty price tag of their products. As a result, many Apple products will be kept for at least 2-3 years before upgrading. Regardless if Apple becomes the #3 vendor globally they do not want to accept being in 3rd place with record profits. I think the primary reason is that sales have been leveling off for the past few years and a decline is likely to occur. The object is to hide the declining sales and only show revenue and profit, using a slightly higher ASP to disguise reduced sales. If that sales numbers start declining, their trillion dollar valuation soapbubble will like burst. Most Android OEMs dont care about Apple sales. Because their sales are only indirectly affected. Since Apple doesn't use Android, then they aren't even competing on the sales level. If Apple doesnt wanna disclose sales, then so what. They really never did anyways. Most sales data has been guess work and Apple never disclosed sales by model. Apple has become too greedy the last couple of years. They are making excellent products, but pricing it way above what most people are ready to pay for. It's fine in countries like US, where the prices have gone from $650 to $1000 for the iPhone, but in most other countries, the tax increases proportionally too with the price, which really makes it more like $1000 to $1500 for the iPhone in EU or Asia. Also, most people will end up getting it financed, so they won't feel it as much, but in the long run, they will realize it too. Great for their shareholders though, but let's see how long this gravy train lasts and what's the price breaking point for the Apple fans. I believe $1000 is pretty close to the redline, and it's way beyond that point everywhere outside the US. "They are making excellent products, but pricing it way above what most people are ready to pay for." You got something very wrong here, Apple devices NEVER been for most people. That's never been their goal. Something very surprising happened when tens, after hundreds of millions of people started to buy most expensive phones in the market, it just shows how great the product has been and that's why people wanting these. Well, in my country it has gotten very, very bad over the last couple of years for even the top 10%ile of the population. The US dollar rising, Apple raising their pricing by an absurd amount, and the US-China trade wars have increased the price of iPhones by about 2x here. So even the people who did afford it before are finding it hard to justify. The most important advantage of Apple ecosystem is the user retention. And that's only going to happen till a point, after which the crowd will start trying android and will realize that it's not that bad.I own a MacBook + android combo and it works just fine. I have no plan to go back to iPhone until the pricing gets back to the level to it was 1-2 years ago. Even 6s is a great phone to have in Apple's ecosystem. Those that don't want/can't pay the prices on the new products (which, I give you that, could have been a bit cheaper) can always get a great older device. Sorry, but the 6s is just dated compared to modern phones. In here, you can buy the OnePlus 6T for about the same price as the 6s, and get a much, much better experience. In what way, in the way that it's capable to run all the app in the Apple Store and has almost every function a 2018 phone has? Can 6T run iOS? than it can't give a better experience to an iOS user. I believe Tim Cook said the complete opposite earlier this year. Their aim was to make their devices accessible to everyone no matter their income. When you are a trillion dollar company, it doesn't really matter. If Apple's profits are up, even as sales go down, sounds like they have a winning formula. True, but I don't know how long I can ride this "gravy train" of seeing a $2000 iPhone and a $2000 iPad within 2-3 years. Nuts to say the least. The 1TB models will be at least over that amount next year. Not a good sign ahead. Beauty gate shareholder feature covering up a slight blemish, go figure. Smoke and mirrors, subterfuge is their game. I love all those comments above. Apple is the only company left that was still given official numbers. No other company do, Samsung stopped their in late 2013/2014. Microsoft, Amazon, Google etc don't. But as usual if Apple (last company to still do so) stop, then it's the end of the world. I've been saying they should stop since 2015. The only thing it was doing was given fuel to haters and short sellers because they only focus on those numbers. Apple's service revenue and profits are bigger than Facebook alone but you would not know it from those comments. The bad news for those folks is that no matter what they wish, Apple is not going anywhere anytime soon. They have so much money they can sit on their behind for a decade and they would still have money to run the company. Apple needs to revamp iOS, and ad some killer features. The iPhone is hella profitable, but hasn’t been the best phone for years now. The sales are getting weaker as a result of reluctance. That’s why none have sold out this year. I dont think that's the problem. The problem is, $1000 for a phone that doesnt do anything, is too much to pay.